Welcome to our Kitchen Trends for 2018. 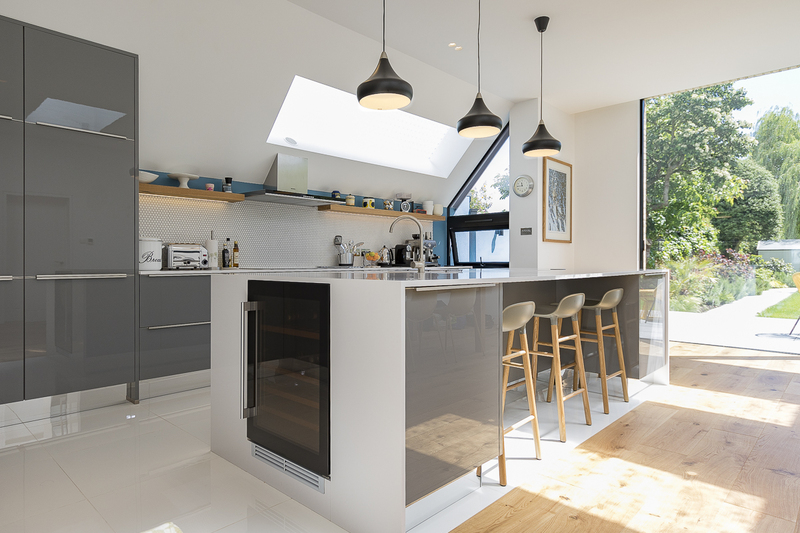 We have carefully put together 12 fabulous ideas that will certainly give you great inspiration if you are thinking about getting your Kitchen project on the go. We have innovative materials and finishes, as well as new high-tech home appliances and surprisingly creative storage solutions. So, keep an open mind and prepare to be dazzled! …and discover a world of ideas that will make your Kitchen as unique as you. 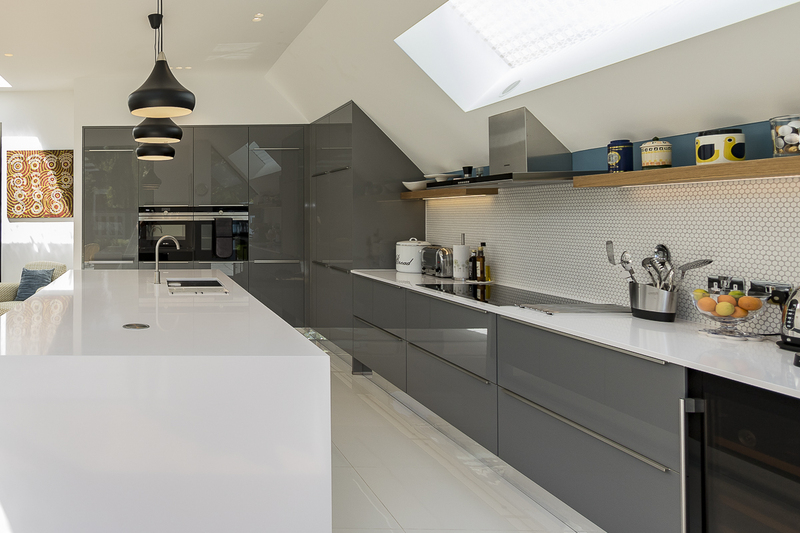 Dark Colour Front Cabinets are incredibly popular at the moment. 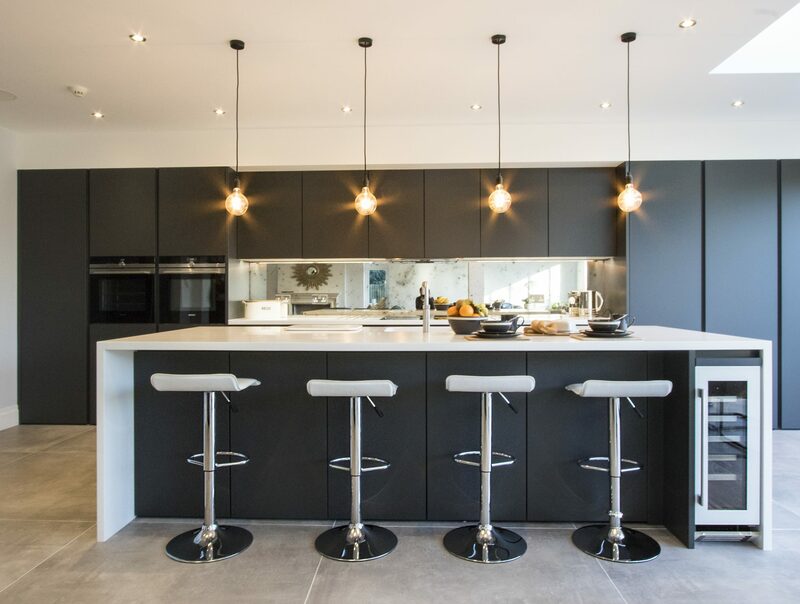 They provide great contrast between units and allow for great focal points, and they also blend in fantastically well with different materials like wood, glass, stone surfaces and metal, such as stainless steel or coper. 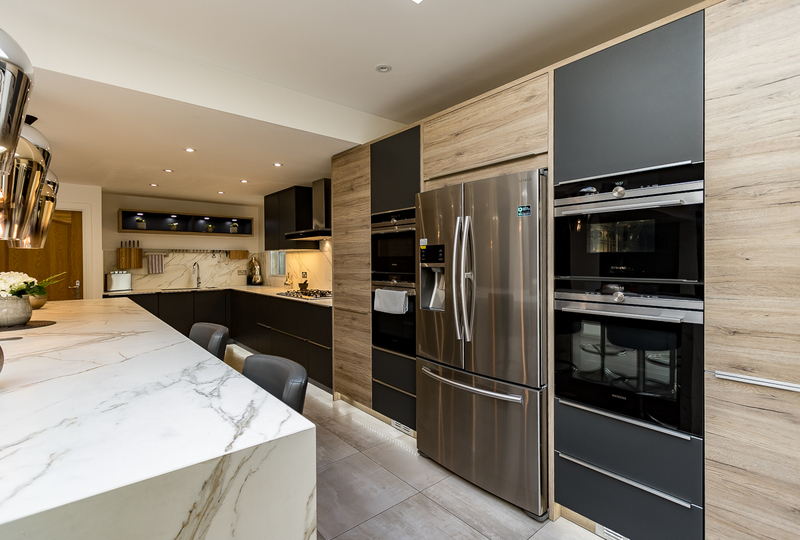 Finally, dark colour units can create an amazing look when paired up with cabinets bearing a different shade of the same colour, and that will work for both Traditional and Modern designs. 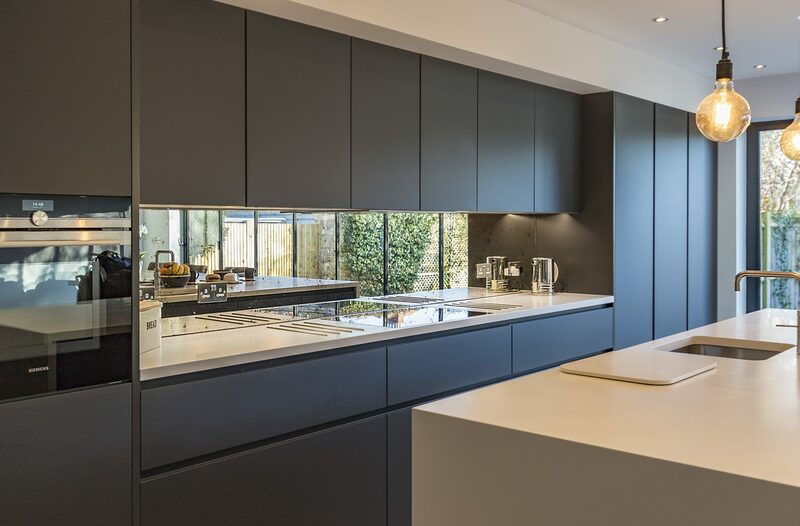 Leicht has a wide range of dark colour fronts, in lacquered and matt finishes. The Carbon Grey colour, for example, even has an anti-fingerprint layer applied. 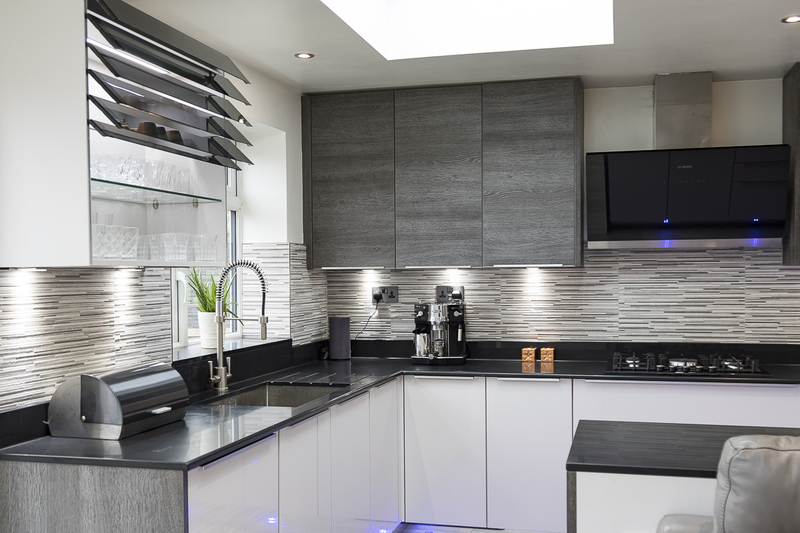 A dark tone does add that very special touch of sophistication and warmth every home kitchen deserves. 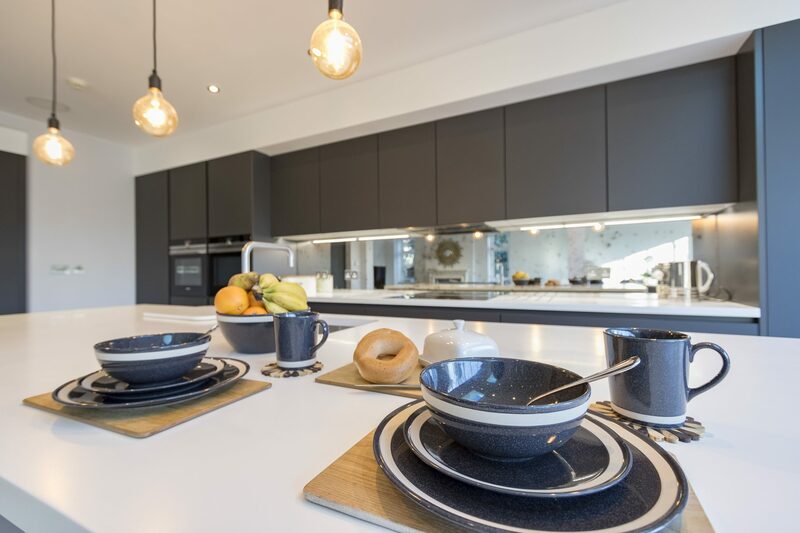 Open storage, like shelves and boxes are a great way to display attractive and everyday use items and make a kitchen look practical and stylish. They keep tools visible and easy to access helping to create an informal and relaxed atmosphere, open, lit and with a fresh feel. 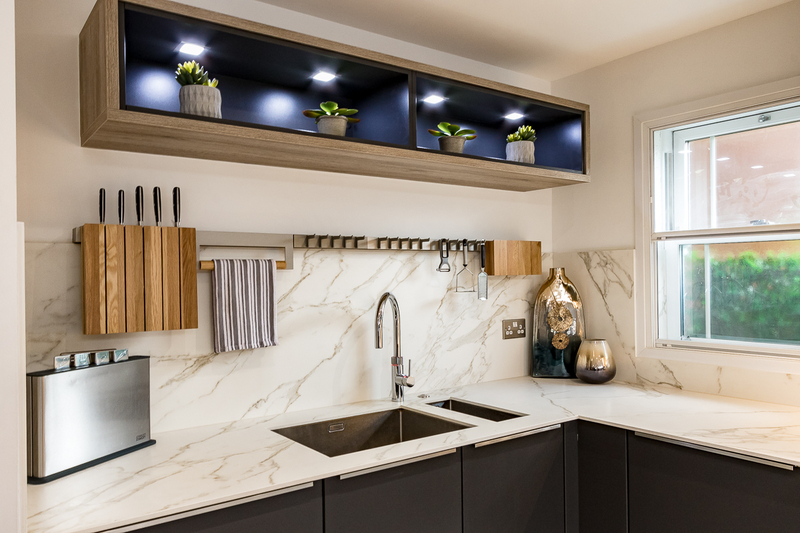 Because of this, the use of open storage and shelves can accommodate many different layouts and is suitable to large as well as small Kitchens. It is interesting to position shelves symmetrically or in a central area. The secret is to keep things neat and well-organised, and dust regularly. Lastly, open storage can be quite cost effective, since shelves and boxes are cheaper than cabinets. So, open up and get creative! 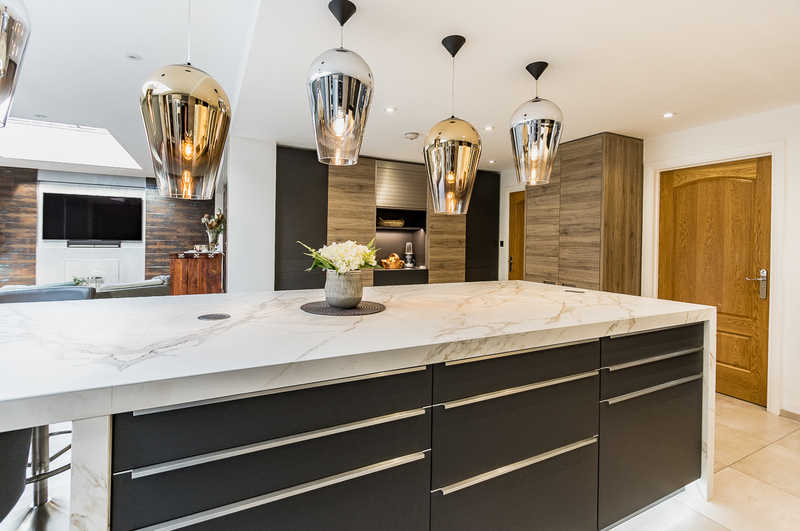 There is not doubt that handless Kitchens have been scoring high in recent times, but that doesn’t meat that handles are out of the game. Far from it.  Handles are more than just a practical detail, they bring an invaluable aesthetic quality to most Kitchen designs. 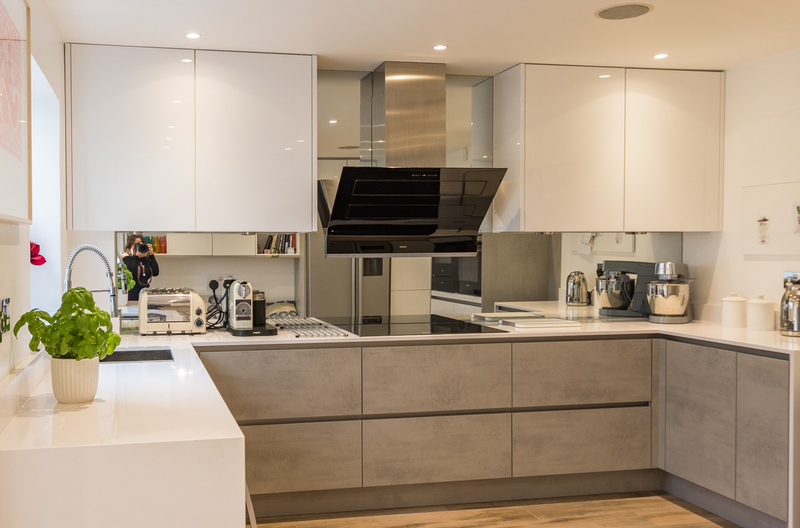 And because they come in a vast range of sizes, shapes, colour and materials they can clearly determine the style of the Kitchen. 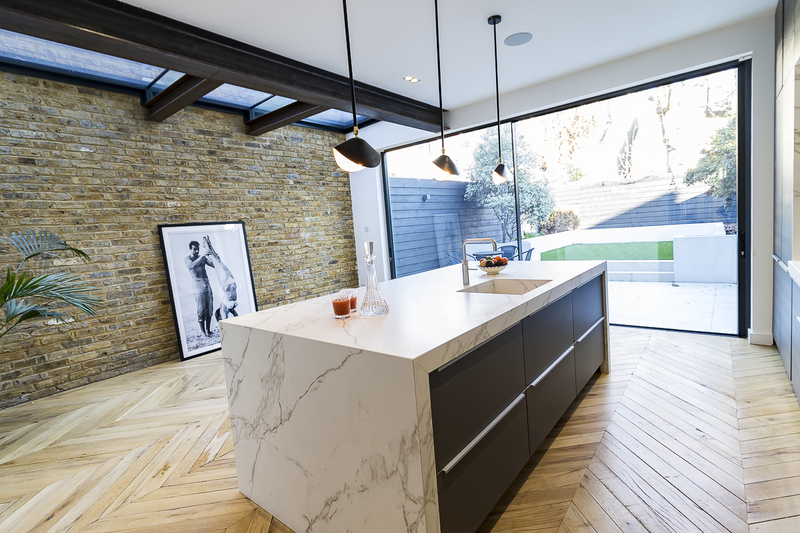 The right choice and positioning of the Kitchen handles can dictate alone the look of the Kitchen, by giving it a vintage, modern, contemporary, classic or traditional attributes. For instance, big and long handles emphasize the horizontal or vertical lines of the cabinets and are focal elements. There is even the option of combining units with and without handles to achieve that all perfect look. Thanks to this innovative technology, LED lighting has lost its unfriendly and old-fashioned look and has invaded the Kitchen domain. LEDs are used to illuminate toe-kick areas, perk up islands, brighten up work space, define areas, create focal points and accentuate different moods. The LED lights are more efficient and longer-lasting than halogen and fluorescent bulbs. They are certainly here to stay! Multiple ovens brig versatility, convenience and flexibility to your Kitchen. Firstly, they allow you to bake and roast different dishes at different temperatures and at the same time. Secondly, the in-built models can be installed at a higher level, with the advantage that they are at a more comfortable level so that you don’t have to strain your back when using it. 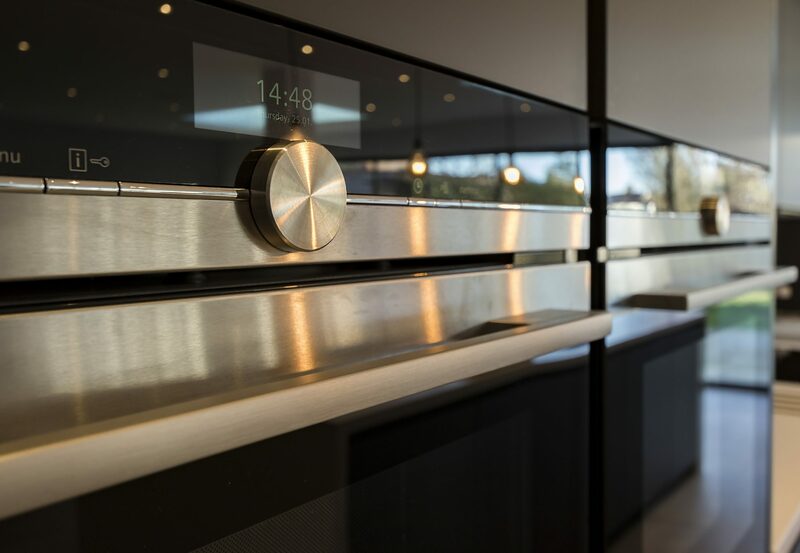 Thirdly, unlike old-fashioned ovens, the more high-tech models are packed with electronic dials and controls which permit you to choose from countless different cooking functions and settings. Very popular at the moment, is the Siemens StudioLine multi-function oven, which features a microwave and a combination steam oven is perfectly complemented by the optional warming drawer. Placed next to the large capacity oven, these line up perfectly thanks to the linear design and matching control panels. Induction is the first technology that offers all of the benefits of cooking with gas, with none of the drawbacks. Induction offers the following benefits and performance advantages: faster, safer, cleaner, cooler, and proves to be more cost effective. Because energy is directly transferred within the pan metal, cooking on an electric induction range is extremely fast. Electric induction cooktops are much safer than gas or other electric surfaces, since there is no open flame, red-hot coil or other radiant heat source to ignite fumes or flammable materials. Also, with no grates or grease catch to worry about, cleaning up is a breeze. Just use a damp cloth and wipe over the flat, easy-to-clean surface. Traditional gas or electric ranges waste up to more than half the heat they generate. With an electric induction range, almost no ambient heat is produced, since all the heat is being generated in the pan itself. Induction cooking is far more energy efficient than gas or traditional electric ranges. In fact, when using an induction cooktop, 95% of every pound you spend on energy goes right where you want it – in the pan! Gas delivers only 35% to the pan and traditional electric about 56%. In addition, when you remove the pan from the induction cooking surface, the induction cooktop immediately goes into standby mode, which uses almost no energy whatsoever. 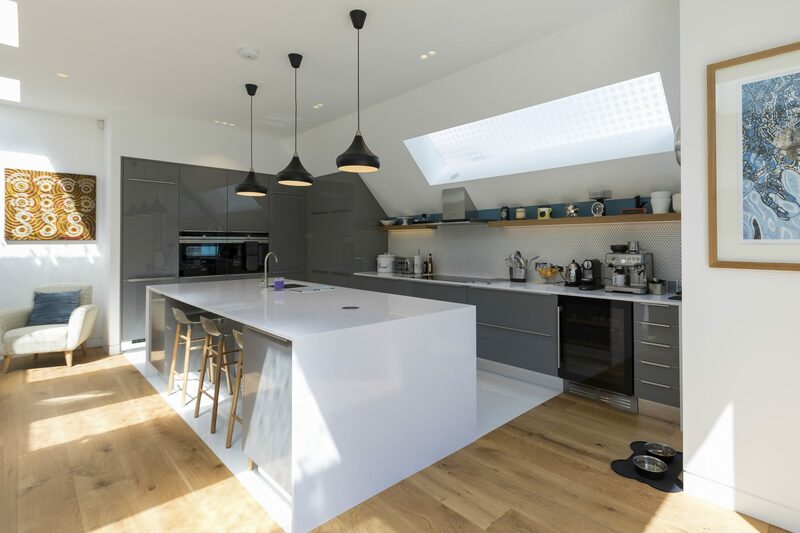 To read about Kitchen Trends For 2018 – Part Two, click here.